Are you thinking about trying out a low-carb diet, but can’t seem to conquer that sweet tooth? With these gluten-free low-carb dessert recipes, you won’t have to! We’ve compiled a list of the most delicious, most delectable, most indulgent, and most diet-friendly desserts out there. A low-carb diet is a great way to trim fat, improve heart health, and improve your cholesterol levels. Because a large percentage of our daily carbohydrate intake comes from sugars, desserts can be one of the most carb-heavy meals of the day. 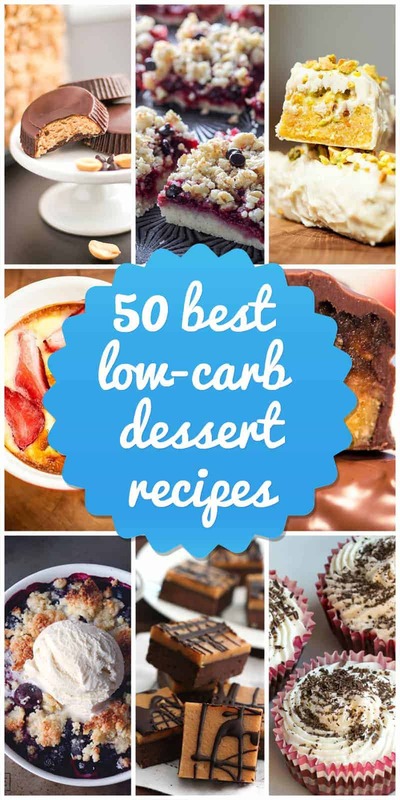 If you’re looking for ways to cut carbs from your diet, try some of these delicious and easy low-carb dessert recipes and satisfy your sweet tooth without all the extra junk. This healthy version of everyone’s favorite candy bar doubles as pre-workout fuel. With 26g of protein per serving, this tasty snack will keep you feeling full and satisfied. 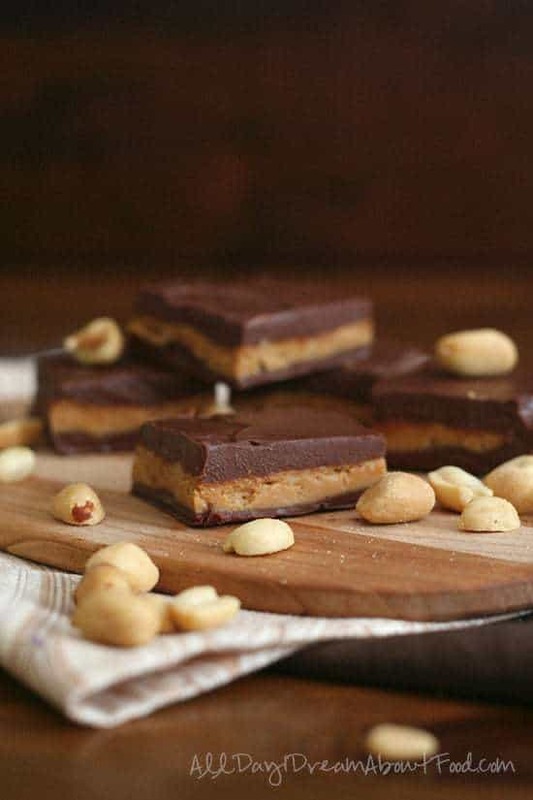 Packed with peanuts and sweetened with dates, this delicious snack offers all the satisfying flavor and texture of a candy bar with none of the guilt! 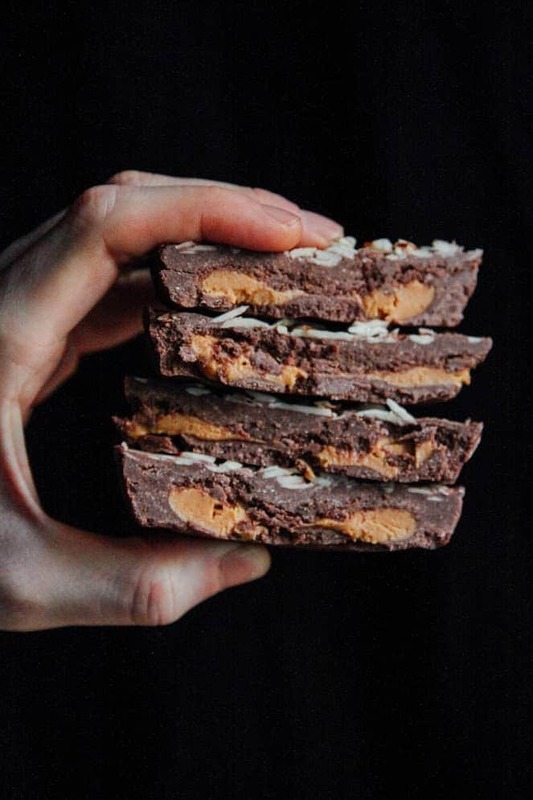 Whip up a batch of these better-than-Snickers bars for your next Halloween party, and scare your guests with how tasty AND healthy low-carb candy can be. Every chocoholic knows that when that hankering for a brownie starts coming on, nothing else can satisfy your craving. Fortunately, these delightfully sweet yet healthy brownies will do just that! 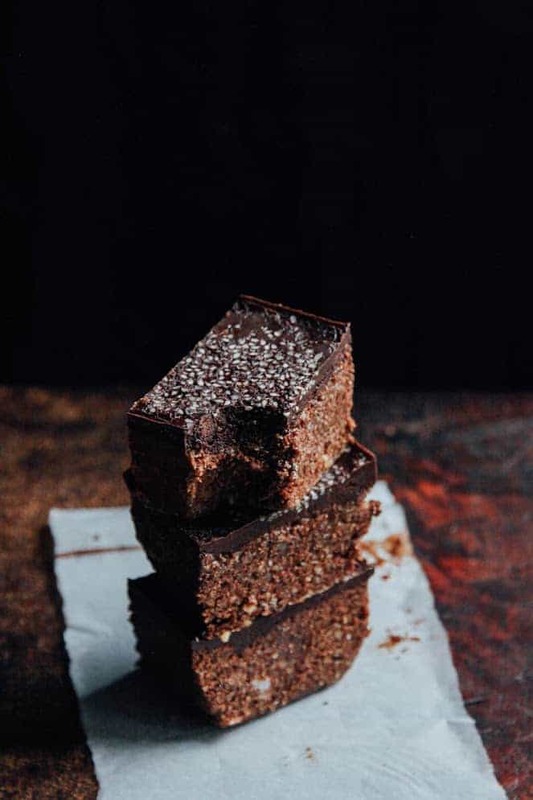 Sweetened with maple syrup and chock-full of nuts, chia seeds, and hemp seeds, these double chocolate brownies pack a major nutrient punch. Plus, they don’t require any baking, so they’re the perfect low-carb treat for anyone trying out a vegan and raw food diet. Who said a raw diet can’t include brownies? These sugar-free and gluten-free peanut butter cups are to die for! They offer all the satisfying sweetness and richness of a Reeses peanut butter cup, but with none of the added preservatives and none of the carb-heavy sugar. If you’re looking for a no carb dessert with that irresistible combination of chocolate and peanut putter, look no further. 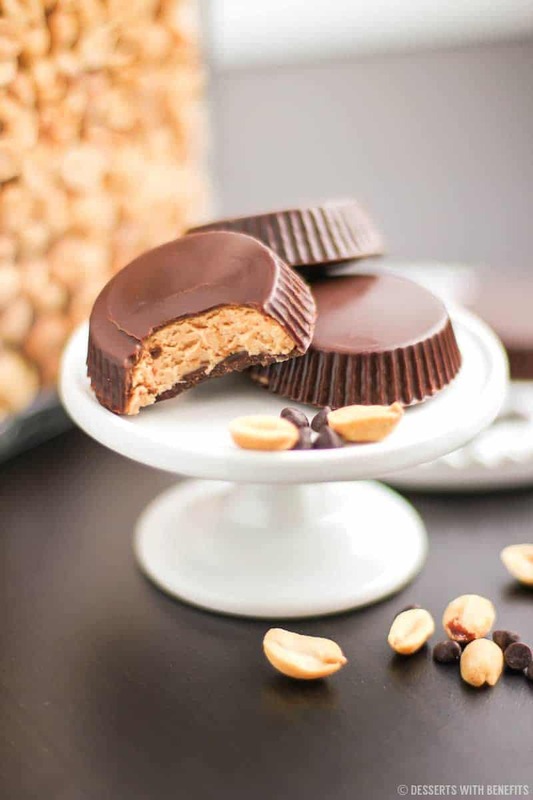 These healthy homemade peanut butter cups are delicious and addictive! You may not be able to stop after one…or five. Tired of the same old holiday desserts? 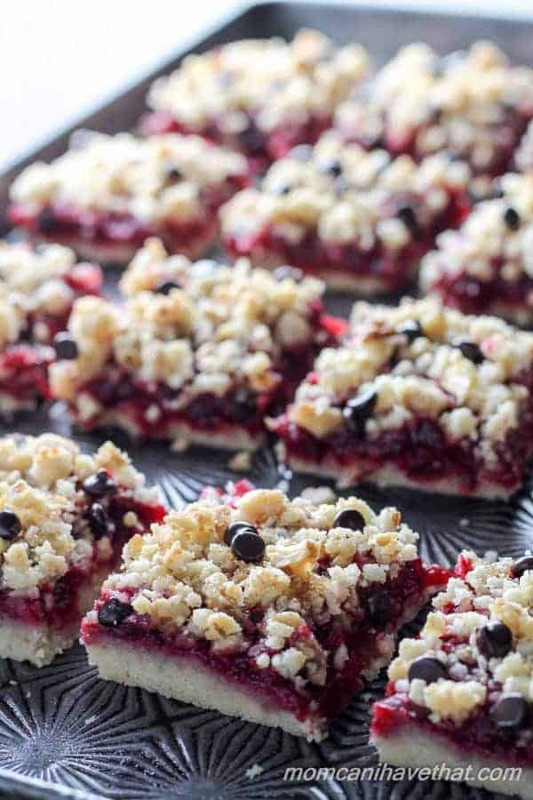 This holiday season, whip up a batch of these low-carb, gluten-free cranberry walnut crumb bars and mix things up a bit! 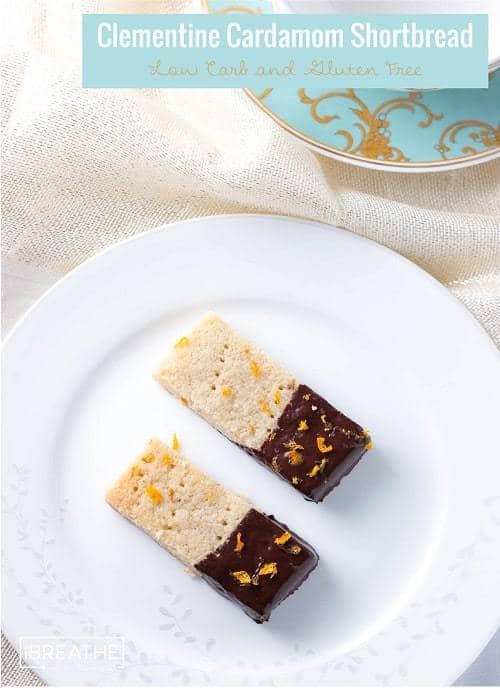 The shortbread crust is made with almond flour and coconut, so no refined flour or gluten in sight. The hint of nutmeg in the filling gives this healthy holiday dessert a comforting, homey feel. Plus, this versatile low-carb dessert recipe lets you add your favorite healthy toppings to make it your own. You may never go back to boring cranberry sauce again! There’s no better way to make your partner fall madly in love with you than to present them with a skillet full of ooey, gooey chocolate brownie to share. Except perhaps a skillet full of ooey, gooey guilt-free brownie to share! 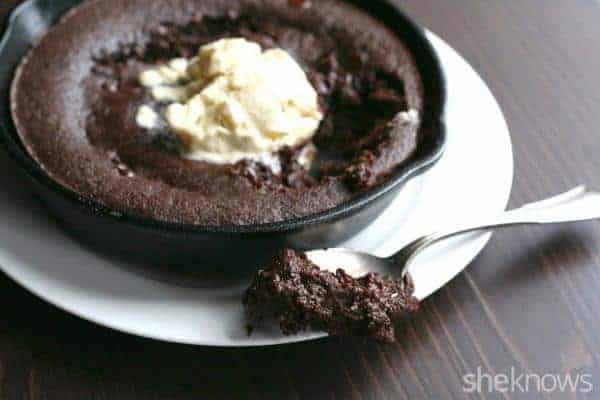 This romantic low-carb dessert idea is sure to woo your sweetheart with its rich, chocolatey texture and warm, melty center. Plus, it’s completely gluten free, so it’s friendly to strict dietary needs. What could be more romantic than that? Ever get an irresistible craving for something sweet, only to discover that your pantry is looking a bit sparse? This easy low-carb dessert will be your saving grace on nights when you’re low on ingredients but desperate for a sweet treat. With only four ingredients, this dessert can be whipped up from stuff you probably already have in your kitchen. This creamy, decadent peanut butter pie is as simple as it is satisfying. Plus, it requires no baking! Seriously, could low-carb desserts get any easier? 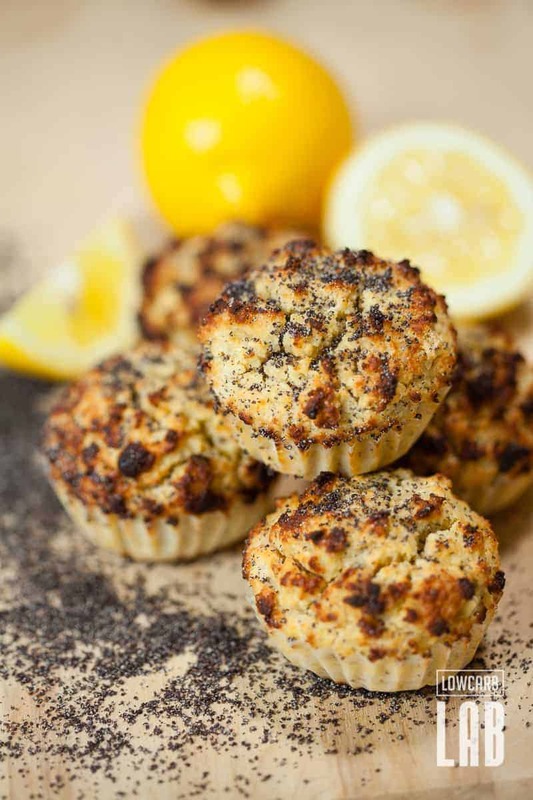 These tasty little bites will give you a boost of energy without the sugar crash afterward. 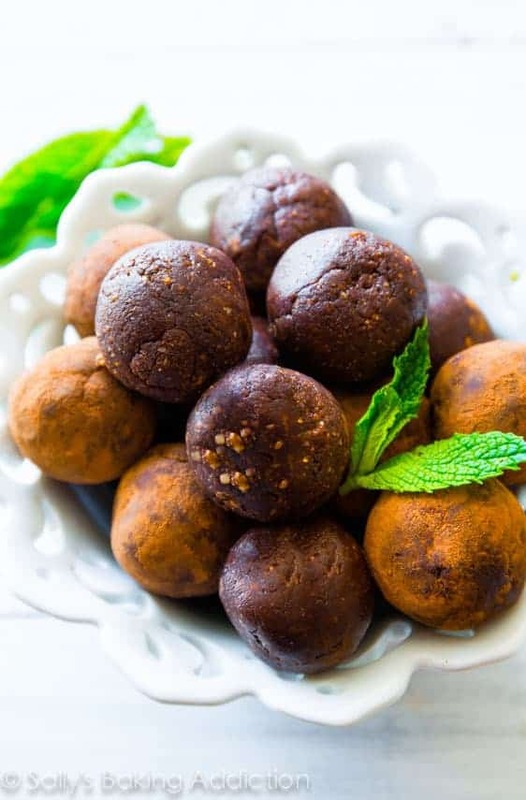 Made from dried fruit and nuts, these chocolatey, minty energy bites are perfect for popping in your mouth during a hike or a long run. Plus, they’re naturally sweetened by dates, so no need to pile on the extra sugary sweeteners. But don’t be fooled by their healthy ingredients — these chocolatey nuggets of fuel are as rich and satisfying as any dessert you’ll find. Yum! Looking for something to do with that big tub of protein powder besides boring old protein shakes? Check out these tasty and energy-filled white chocolate snacks and mix up your post-workout recovery routine. Each serving packs a whopping 22g of protein, helping your muscles recover and keeping you fuller for longer. Make a big batch instead of buying an expensive protein bar every time you hit the gym, and this tasty treat will keep you and your wallet full and happy! 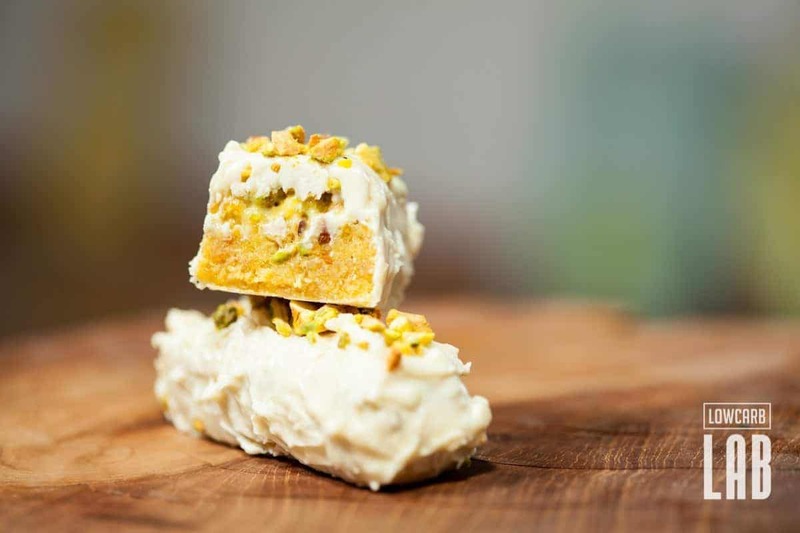 With the crunchy pistachio bits and the creamy white chocolate topping, these little protein bars are seriously addictive. Question: What’s better than a chocolate peanut butter cup? Answer: A GIANT chocolate peanut butter cup. 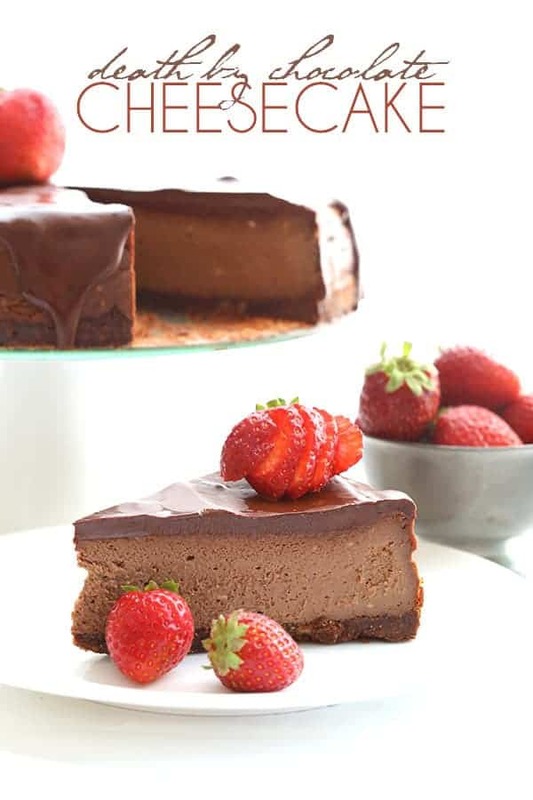 There is nothing more sinfully decadent than this rich, creamy chocolate cheesecake. But this is one sinful dessert that your diet will actually allow! Just because you’re cutting back on your carb intake doesn’t mean you have to cut back on your cheesecake intake. What kind of life would that be anyway? This low-carb version of the most luscious dessert ever invented means that you can indulge guilt-free. Hallelujah! There’s no better summertime dessert than a classic fruit cobbler. 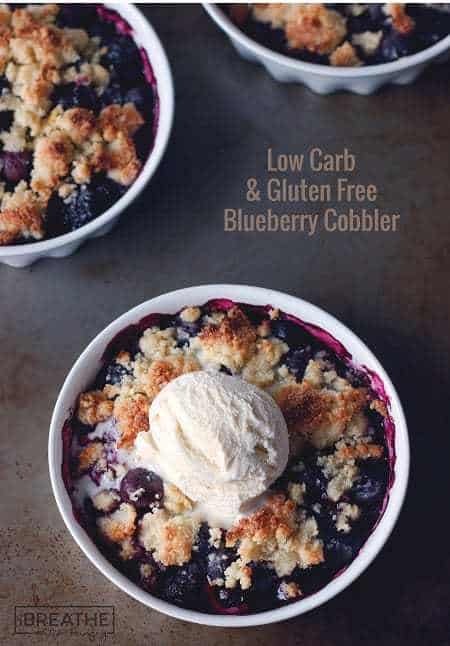 With the sweetness of those late summer blueberries, this delicious cobbler requires no added sugar, making it the perfect low-carb dessert for your Fourth of July barbecue. The lemony flavor of the topping keeps it light and fresh, but its buttery, crumbly texture keeps it feeling rich and satisfying. Top this tasty cobbler with a dollop of sugar-free ice cream or whipped cream for the ultimate summer treat! This amazing carb free dessert is actually two desserts in one. 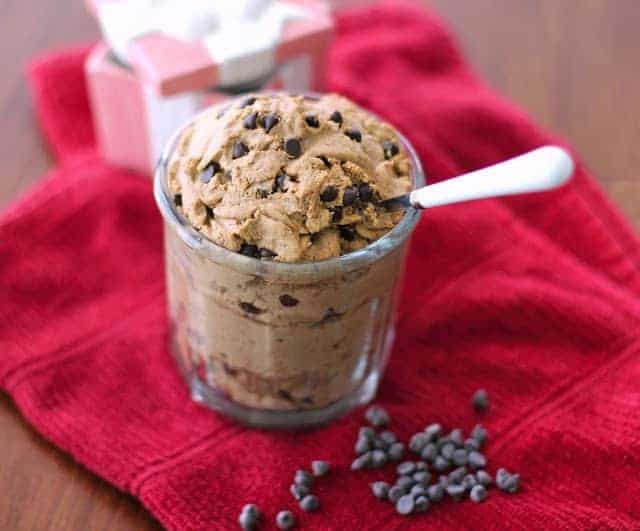 With a creamy layer of vanilla cheesecake sandwiched between two delicious layers of chocolate chip cookie dough, this just might be the most all-American no carb dessert idea on our list. Why eat one dessert when you can eat a dessert wrapped in another dessert? Made with sugar-free sweetener, it’s diet-friendly and won’t overload you with unnecessary carbohydrates. What’s the catch? You just might not have any leftovers! 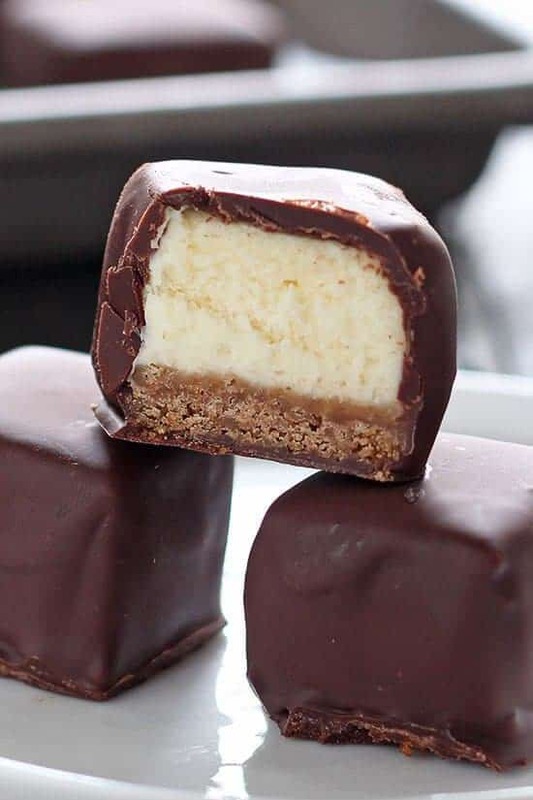 These delicious treats are a bite-sized version of everyone’s favorite regular-sized dessert: cheesecake! With a classic graham cracker crust, a rich, creamy filling, and a cool chocolate shell, these mini cheesecake bites will be a major hit the next time you entertain guests. They’re so cute and snack-able, your guests will gobble them up before you know it. Just be sure to make a secret stash just for yourself! This creamy baked pudding is deceptively healthy. How can such a rich, luscious dessert be healthy? This delicious pudding is made with protein powder and yogurt, making it packed with healthy nutrients without the extra carbohydrates. Plus, if you’re not a fan of chocolate, this dessert offers a tasty alternative to the usual cocoa-filled dessert options. The fresh strawberries on top give this delectable carb free dessert a refreshing, juicy burst of flavor in every bite. Seconds, please! There is no better treat for a picnic on the beach than this creamy avocado lime pudding. It’s completely paleo and vegan, making it a diet-friendly summer dessert. Perfect for indulging in your sweet tooth while keeping an eye on that summer bikini body! 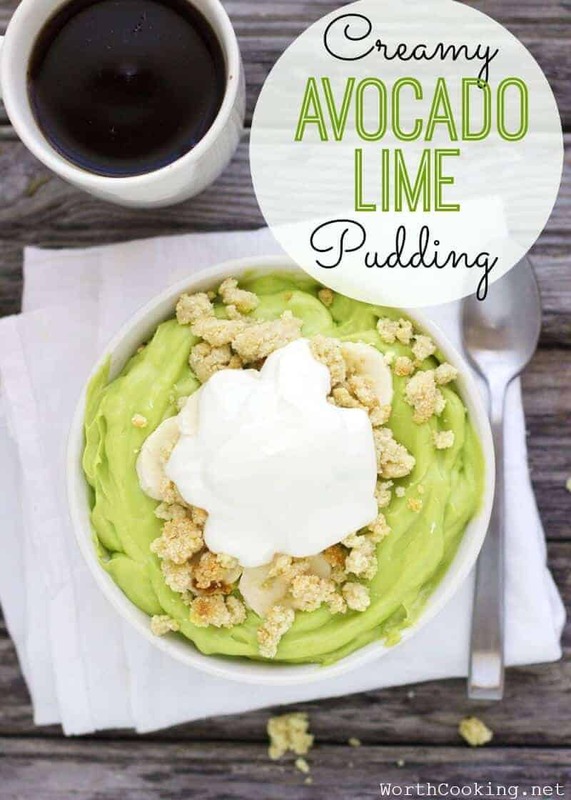 This pudding is creamy and bright, combining the richness of the avocado with the freshness of the lime to create a balanced yet satisfying treat. You may not be able to save this one just for summertime! 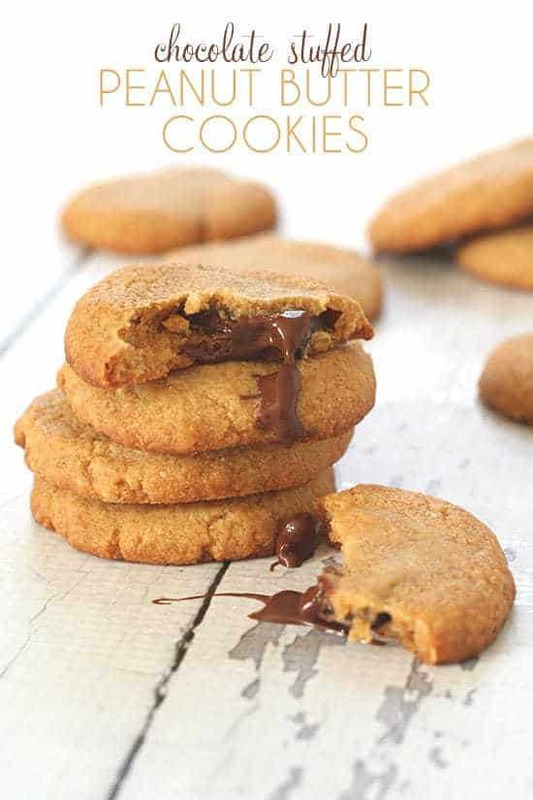 These chocolate-filled peanut butter cookies are always a kid favorite. They’re crunchy on the outside, but inside is a gooey surprise bite of melty chocolate. They’re easy to make, fun to eat, and perfect for dipping in a cool glass of milk. Plus, with their low sugar content, they won’t send your kids into a hyperactive sugar-fit! 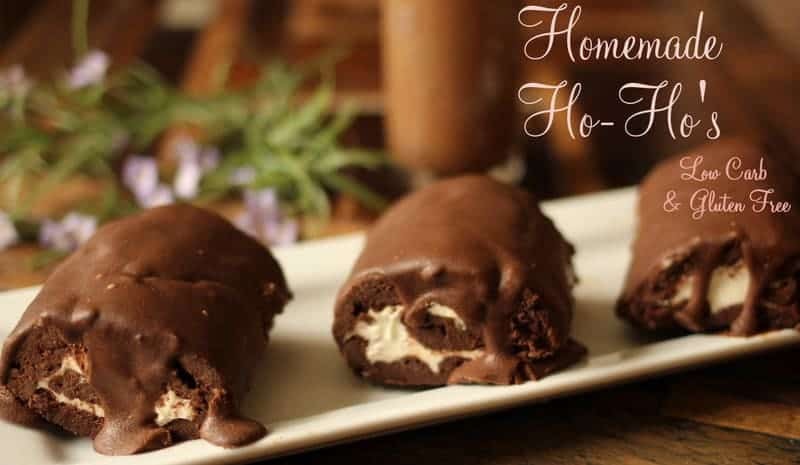 Whip up a batch of these on Christmas Eve and, er, “Santa” will be a very happy camper in the morning. What is it about raw cookie dough that is just so irresistible? Fortunately, you don’t have to resist any longer! This carb free dessert is a healthier version of everyone’s favorite midnight snack. When it’s past your bedtime but definitely not past your snack time, you’ll be glad you have this scrumptious treat in the fridge. Since it isn’t jam-packed with extra sugar, you can indulge in an extra spoonful or two without sending your blood sugar through the roof. Where has this miracle of low-carb foods been all your life? 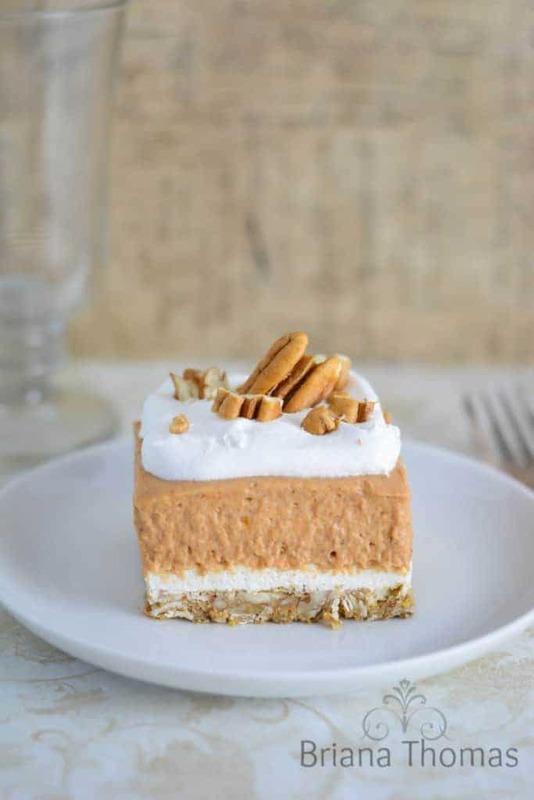 This delicious pumpkin dessert is a great gluten-free and low-carb alternative to traditional pumpkin pie. This scrumptious seasonal treat is sugar-free, so your whole family can enjoy it without the sugar highs and sugar crashes that often accompany big holiday meals. With its rich autumnal flavors and warm, spiced filling, this easy low-carb dessert will surely become a new holiday tradition. Nothing brings family together like a good low-carb sweet treat! Who says cake has to be baked? 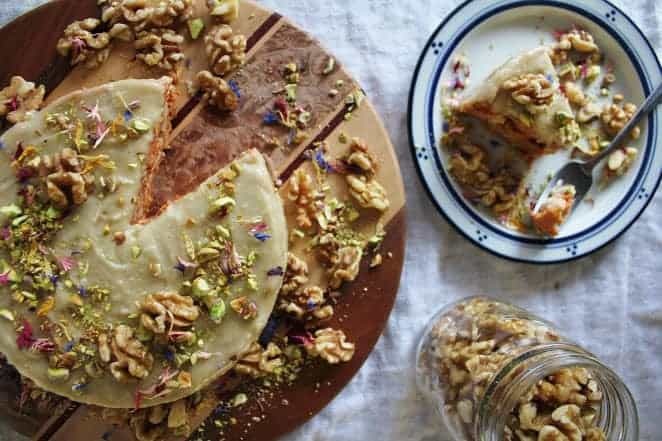 This fully raw and vegan carrot cake is a major game-changer when it comes to healthy desserts. The cake itself is full of grated carrots and dried fruit, and the creamy frosting is made from rich and nutty cashews. Your guests will never guess that it hasn’t touched an oven! This raw, vegan twist on a classic cake might just become your new favorite healthy dessert. 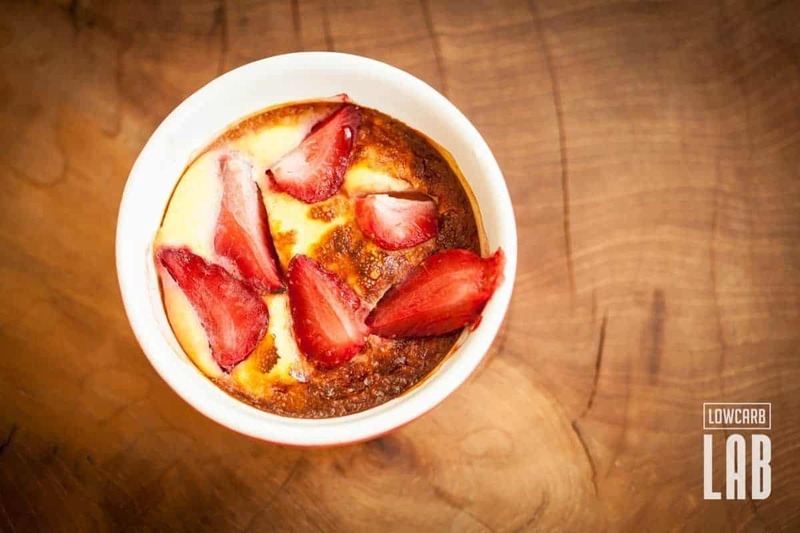 This delicious baked ricotta pudding is one of the most versatile no carb dessert recipes on our list. 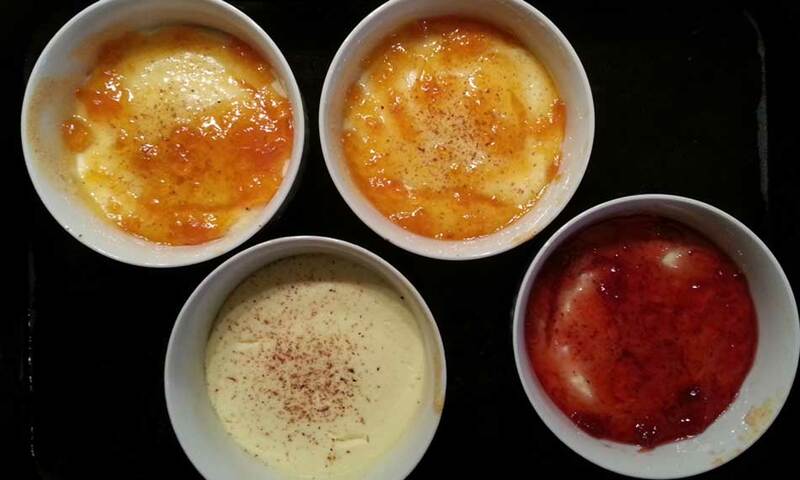 The pudding itself is creamy and satisfying, and can be paired with your topping of choice. Spread a spoonful of your favorite sugar-free jam for a fruity twist, or sprinkle some cinnamon and nutmeg over the top for a spiced seasonal treat. Or, drizzle a bit of low-carb caramel sauce over the pudding for a tasty and healthy alternative to an ice cream sundae! This is one of the best low-carb dessert ideas for a choose-your-own-topping buffet. This delicious vegan frosted fudge brownie is a deliciously healthy alternative to birthday cake. Although it’s completely paleo and vegan, this is one of the most decadent no carb dessert recipes on our list. The brownie is rich and fudgy, and the frosting on top gives this dessert a special feel. Plus, this no carb dessert is completely raw, so you don’t have to wait for it to bake to enjoy it! Whip up a batch of these delicious raw vegan brownies for your kiddo’s next birthday party, and they’ll never know it’s actually good for them! We won’t tell if you don’t. Some low-carb foods can get complicated with all the substituted ingredients, but this recipe couldn’t be any easier. When it comes to low-carb dessert recipes, sometimes you just want to keep it simple! These chocolate caramel nut clusters are crunchy, high in protein, and naturally sweetened with coconut sugar. You can whip up a big batch, and they’ll keep in the refrigerator for several weeks. Plus, they’re the perfect sweet treat for a packed lunch or a snack on-the-go. That is, if they don’t all disappear on the first day! If you’ve never had tiger butter, you haven’t fully lived. 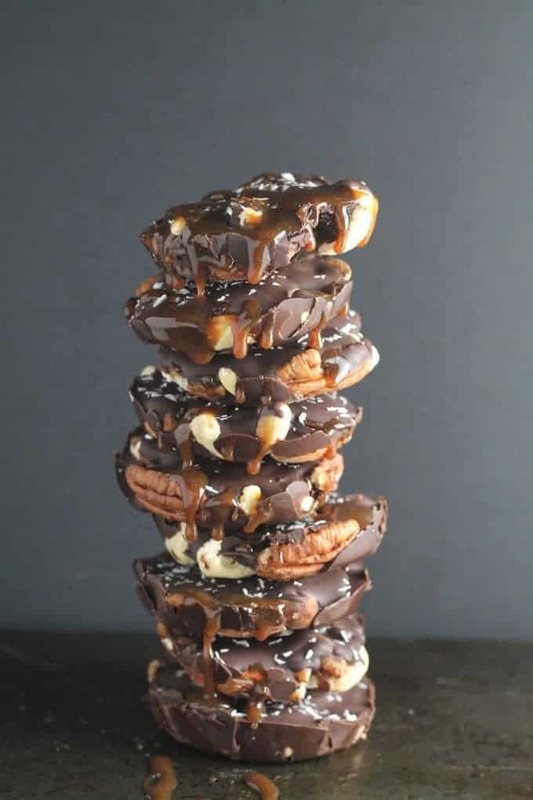 If you love all things Reeses, you simply must try this delicious recipe! 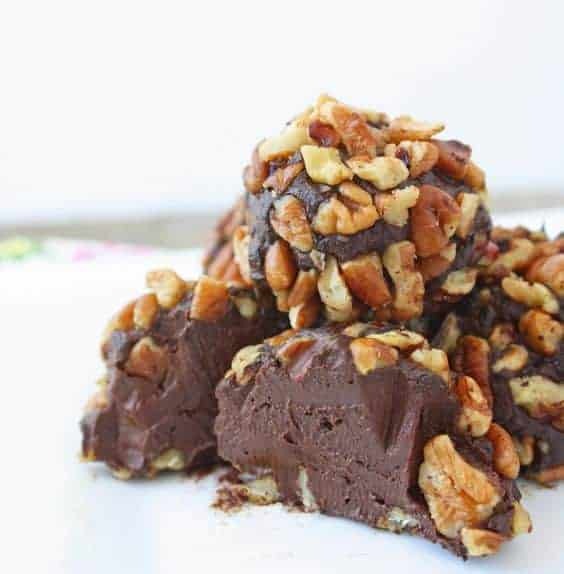 This peanut butter and chocolate tiger butter is one of the easiest and most addictive carb free dessert recipes around. It’s creamy, gooey, and rich, and you can spread it on a low-carb cookie or just eat it by the spoonful! It requires no baking, so it’s friendly to a raw and vegan diet, and it’s so easy to whip up that you’ll always want to have some on hand. It’s sure to become a staple of your low-carb diet! These little chocolate-dipped cookie dough bites are totally addictive! The toffee extract gives them a rich, nutty flavor, and the cocoa butter makes these little treats feel extra luscious and indulgent. 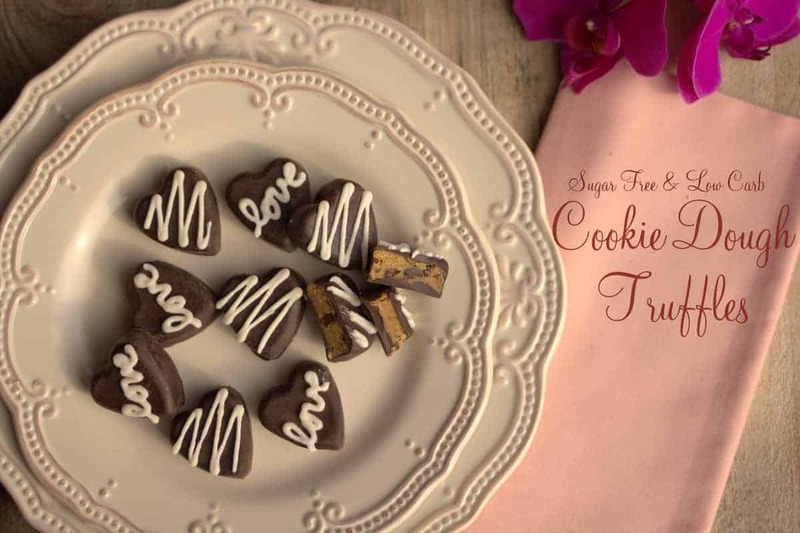 These homemade truffles are the perfect gift idea for Valentine’s Day or your anniversary, and your sweetheart will be seriously impressed at your dessert skills! After all, the best gifts are homemade (and involve cookie dough). 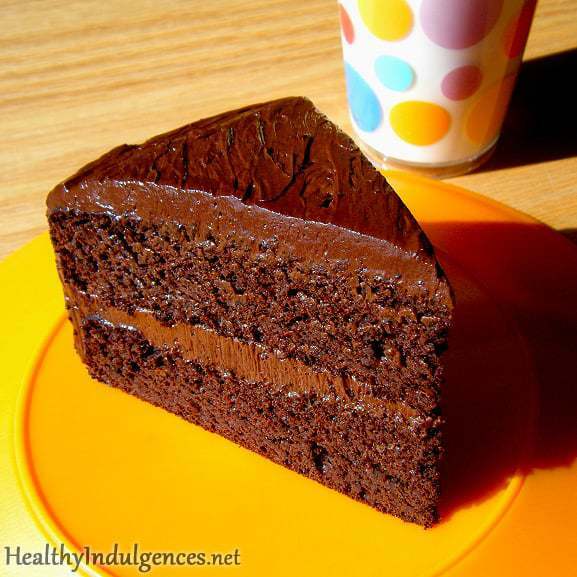 This delectable chocolate cake is moist, rich, and completely free of flour, sugar, or dairy. The secret? Black beans! 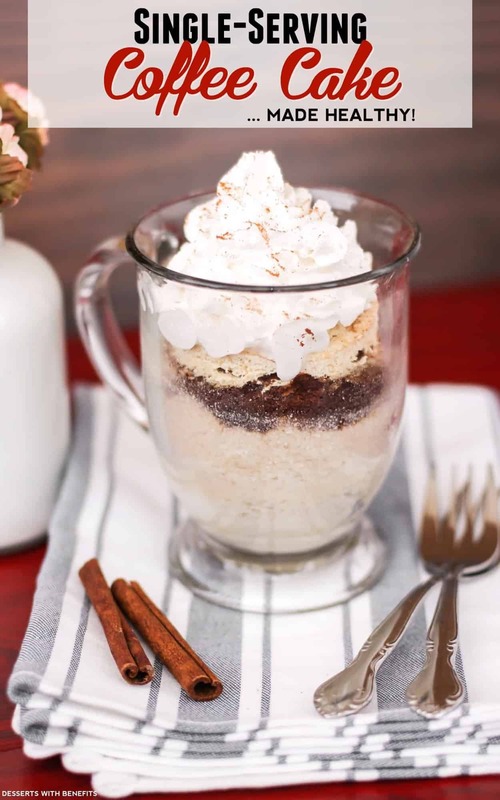 This is one of the most unique carb free dessert recipes on our list, using black beans as its primary binder. The beans keep this cake moist and decadent, and this super cheap secret ingredient makes this recipe one of the most budget-friendly low-carb dessert ideas. Plus, it’s fun to watch your guests struggle to figure out what magical ingredient you used to make this divine treat! This rich autumnal caramel apple pie is simply exquisite. Though it’s fully raw, it has all the warmth and comfort of a traditional baked apple pie, but with a healthier spin. The crust is made from nuts, oats, and dates, and caramel is made from all-natural sweeteners like maple syrup and gluten-free thickeners like almond butter. 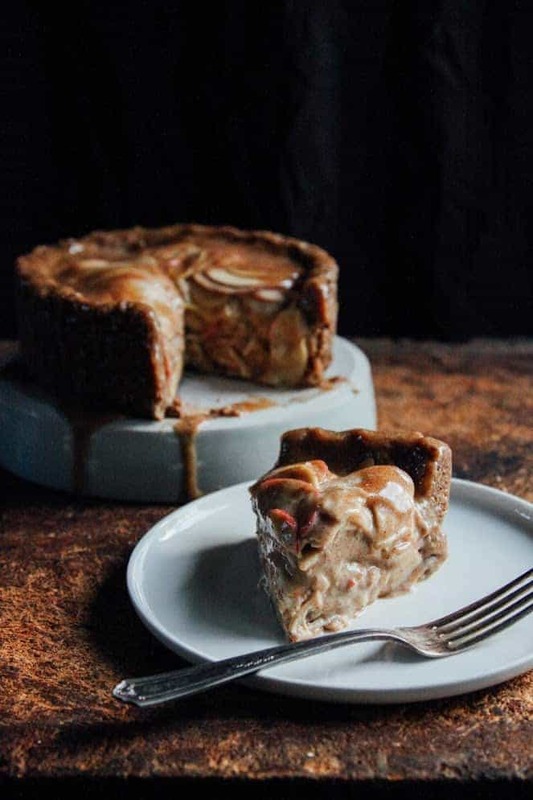 If you’re trying to figure out what to do with all those leftover apples from your weekend trip to the orchard, try this decadent raw caramel apple pie, the king of all low-carb dessert recipes. And save us a slice! This tasty, lemony dessert doubles as a breakfast item. Packed with protein, this treat makes a great pre-workout fuel or a post-workout recovery meal. Or, grab one on your way to work in the morning and it will keep you feeling full until lunchtime. 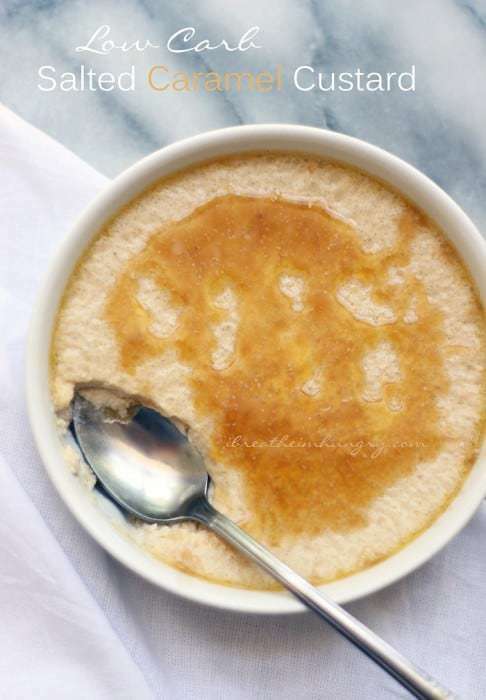 But don’t be fooled by its light, fluffy texture and breakfast-y feel — this sweet treat has earned its status among the most satisfying low-carb dessert ideas to mix up your usual dessert routine. This juicy, succulent fruit crisp is positively to die for. The filling can be made with any kind of fruit, so you can take advantage of what is in season. 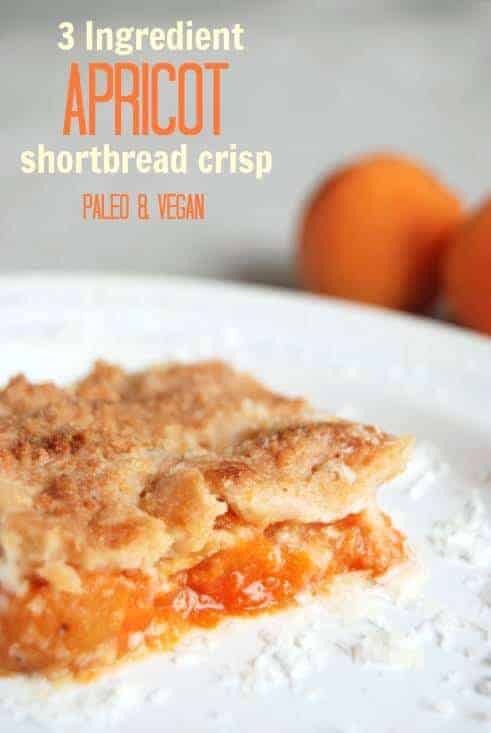 It’s particularly delicious with apricot or peaches, but you can substitute a low-glycemic fruit like cherries, pears, or plums to keep the carb content of this scrumptious recipe even lower. The juicy, fruity filling is complemented by a golden crust made from homemade coconut butter, which gives it a rich, buttery texture. And did we mention it only uses three ingredients? This delicious cobbler is as fresh and easy as low-carb dessert recipes get. We all know that cupcakes are the most fun dessert around. Seriously, who can help smiling when they see a plate of cupcakes just waiting to be gobbled up? 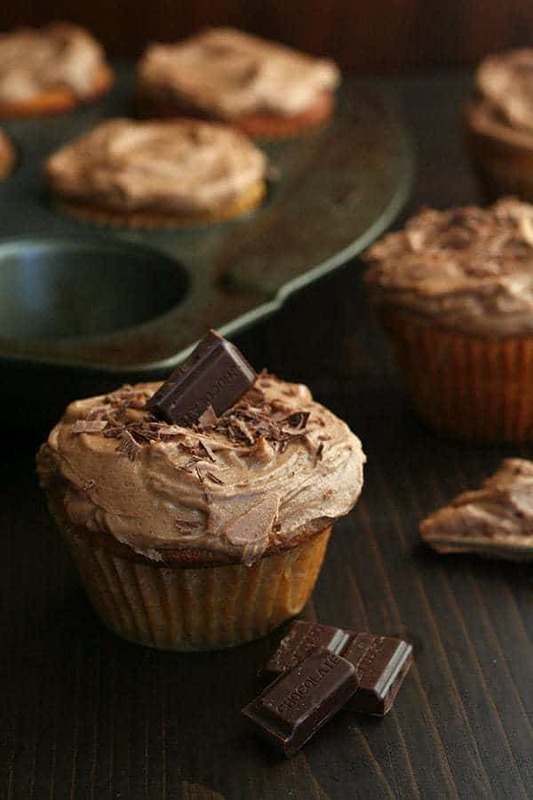 These spectacular caramel cupcakes are made from almond flour and almond or cashew milk, so they’re jam-packed with healthy protein, and the creamy milk chocolate frosting will have you licking every last molecule from your fingers. 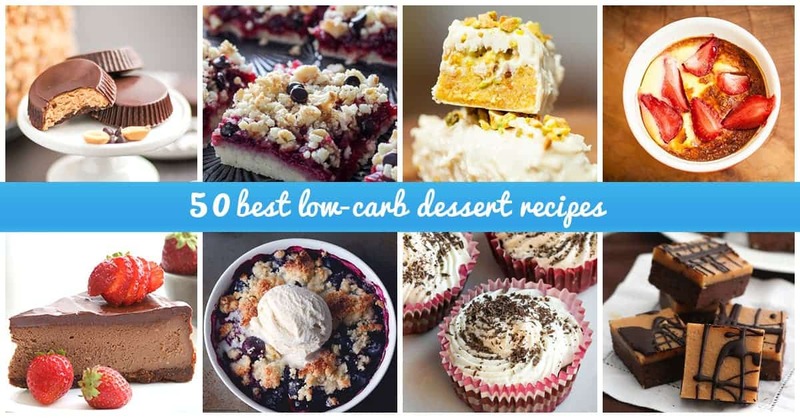 Low-carb dessert recipes this satisfying AND fun don’t come around every day! This is a tasty treat that you simply won’t be able to stop snacking on. With its combination of salt and sweetness and the satisfying crunch of the almonds, this might be the most addictive of all no carb dessert recipes. Plus, you only need four ingredients to whip up this easy recipe! Is your mouth watering yet? 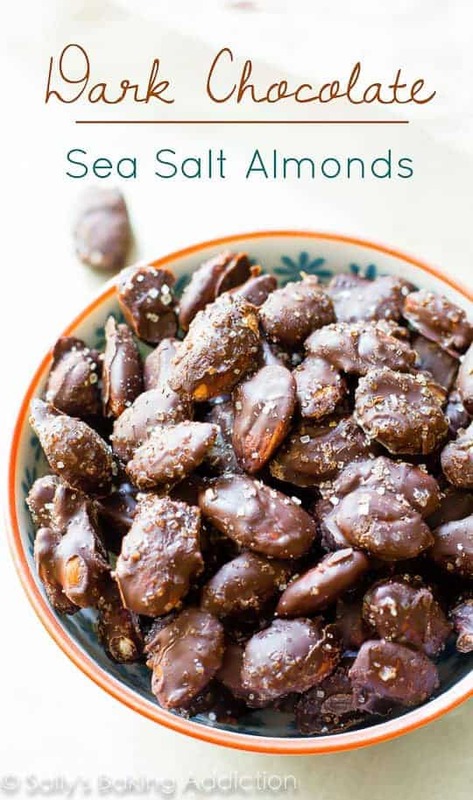 These delicious chocolate covered sea salt almonds are the perfect snack to throw in a Ziploc bag and munch on at your desk at work. And remember, no one said you have to share with your coworkers! 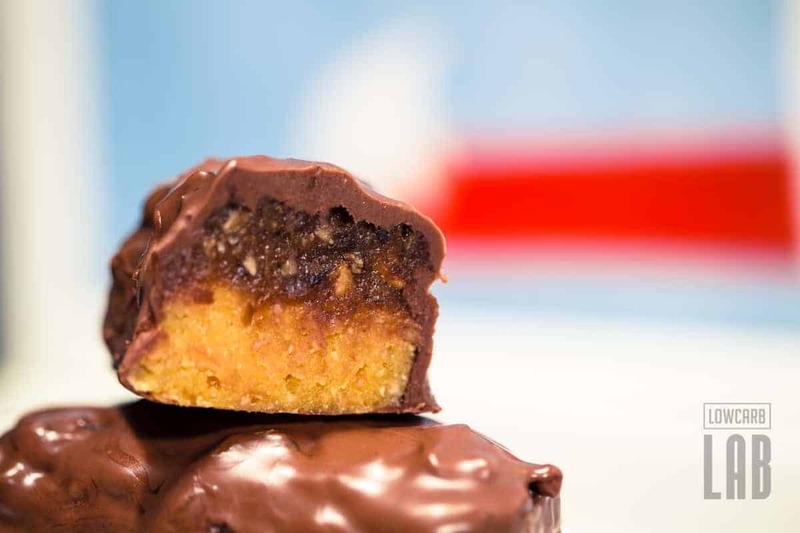 If low-carb dessert recipes were royalty, this healthy Reeses fudge would be the king. 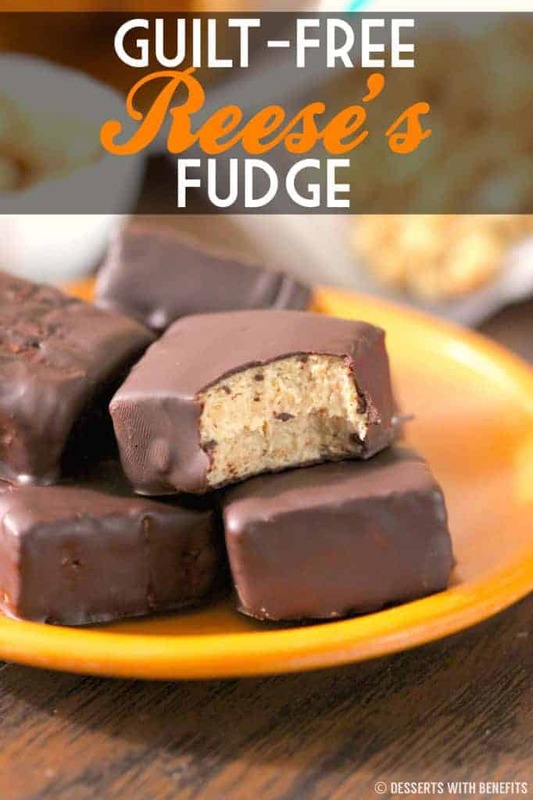 It combines the classic flavors of a Reeses peanut butter cup with the smooth, decadent texture of fudge to make one seriously irresistible treat. 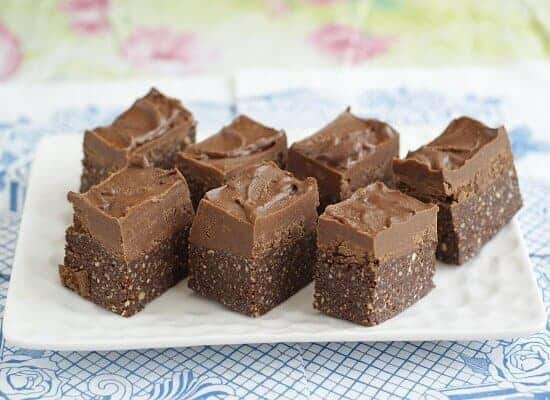 It requires no baking, so it’s friendly to raw diets, and its low-sugar, low-fat, high-protein, and gluten-free ingredients make it the healthiest fudge recipe you’ll ever find. Oh, happy day! This no-bake, crustless chocolate pie is a low-carb dieter’s dream. The filling of the pie uses a ricotta cheese base, which gives the chocolate filling a light, airy feel. The rich, cool, cocoa flavor feels indulgent and sinful, but the calorie count says otherwise! Carb free dessert recipes just don’t get any more scrumptious than this sugar-free and gluten-free chocolate pie. Avocado for dessert is all the rage in the health food world these days. 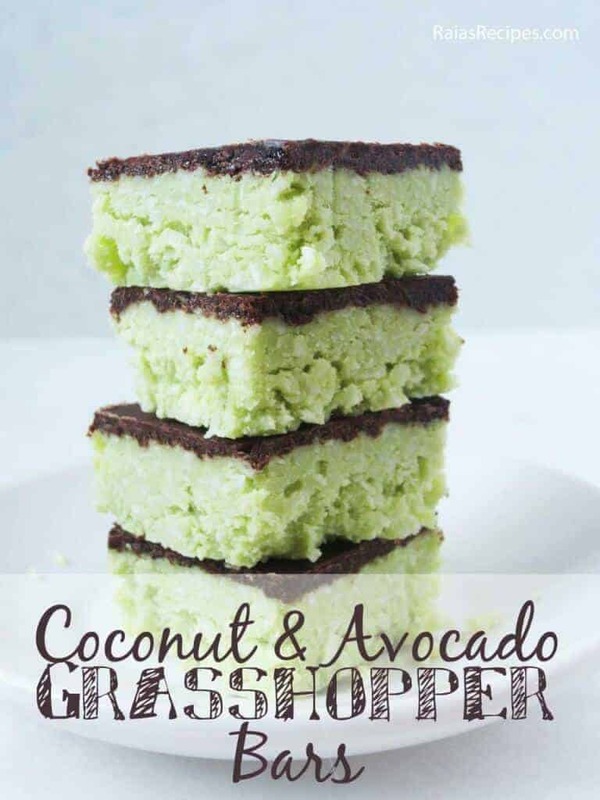 These chocolate-y, minty, no-bake grasshopper bars use avocado for richness, smoothness, and delightfully indulgent flavor. The coconut oil and the avocado combine to give this sweet treat a dose of healthy fat, and the stevia or other sugar-free sweetener keeps it in the low-carb safe zone. Plus, the pale green color gives this dessert a beautiful and calming aesthetic. Yum! 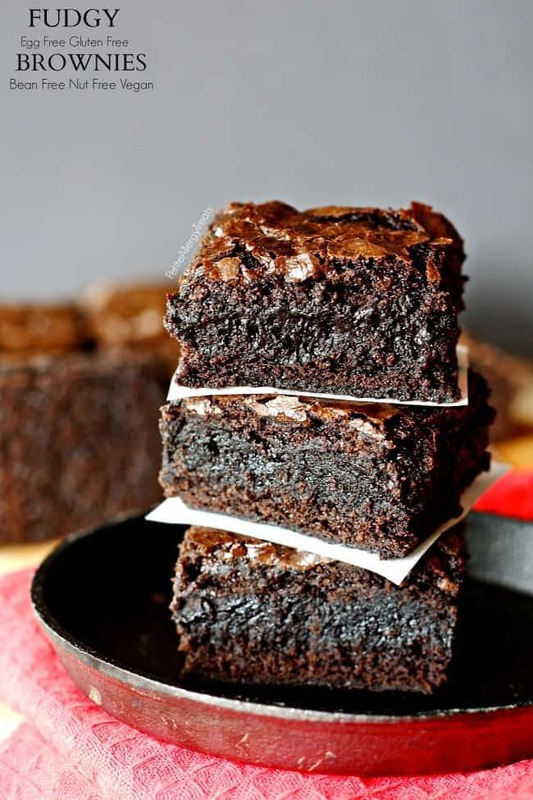 Are you always barred from indulging in delicious brownies because of food allergies? Well now you can indulge worry-free! These brownies are dairy-free, soy-free, nut-free, and egg-free, so your allergies won’t prevent you from savoring this chocolate-y treat. Plus, unlike many allergy-friendly baked goods, these brownies are also bean-free, for those of you with a pesky bean allergy. Seriously, could these miracle brownies get any more diet-friendly? Vegans rejoice, you can enjoy milk chocolate after all! This dairy-free, guilt-free milk chocolate recipe is as luscious and smooth as any chocolate you’ll find at the grocery store, and much healthier. The almond butter gives it a buttery texture, and the touch of himalayan sea salt gives it a depth and complexity that is sometimes missing from store-bought milk chocolate. 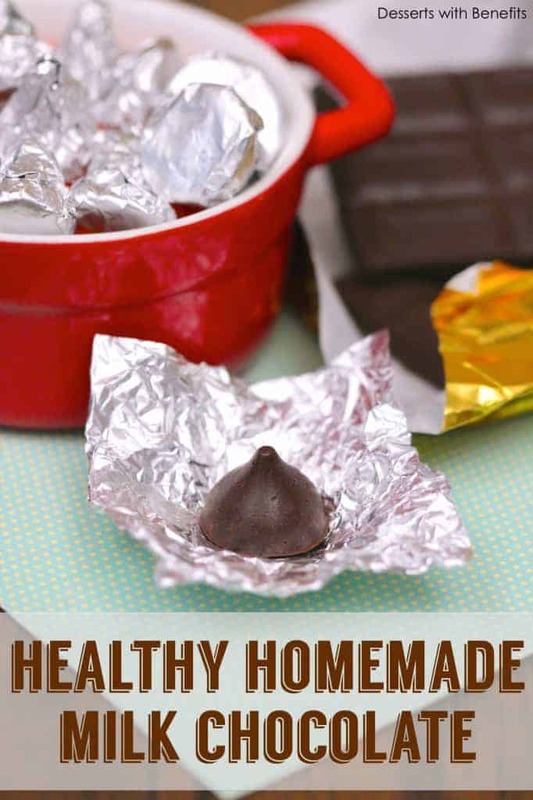 Plus, you can make homemade kisses out of it! What could be more fun than that? A lot of the easy low-carb dessert recipes on this list cater to chocoholics, but sometimes you need a break from chocolate in your dessert routine. This luscious salted caramel custard will fulfill all your sweet needs, while offering you a little variety in your sinfully sweet dessert life. Made with a sugar substitute like Splenda or Swerve, this low-carb custard is impossibly satisfying. How can something so guilt-free taste so good? The best kind of cake is the kind that doesn’t keep you waiting while it bakes. 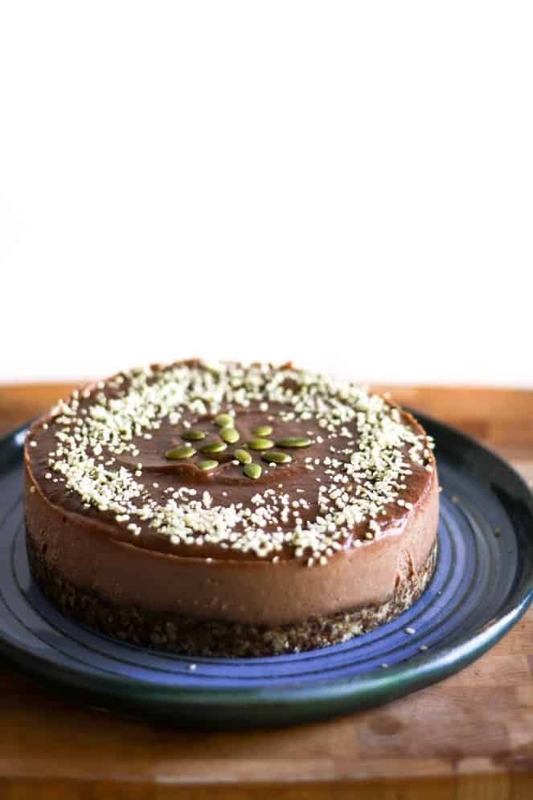 This raw vegan chocolate cake requires no baking whatsoever, so you can enjoy it right out of the fridge. The crust is made from dates and nuts, giving it a natural sweetness and richness. The cake itself is made from cashews and coconut oil, naturally sweetened with maple syrup. Who said luscious chocolate cake can’t be raw? 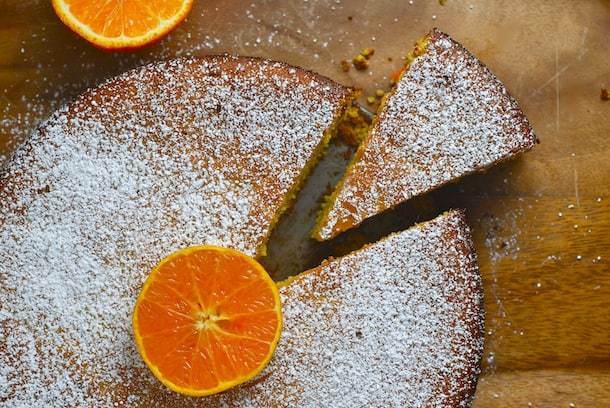 There’s no way you’ll be able to stick to just one piece of this flourless clementine almond cake. Flourless cakes are usually chocolate, so this delectable dessert mixes it up with its fruity and nutty flavors for a unique and unforgettable treat. Sprinkle on a dash of sugar-free powdered sweetener for a snowy, dusted look. 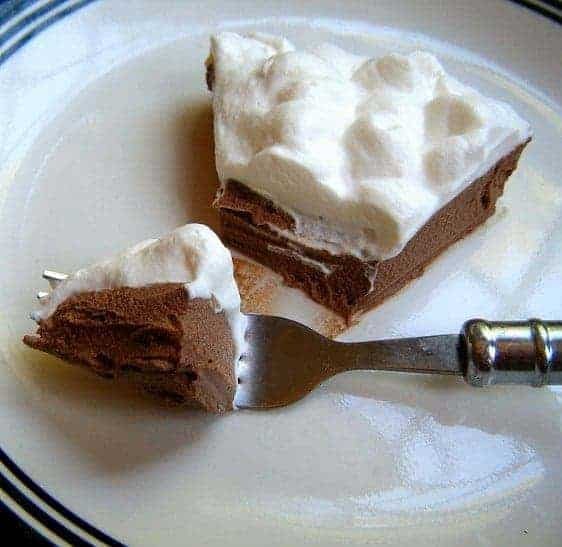 This dessert is sure to impress! This is an icing recipe that you’ll find yourself spreading on absolutely everything. 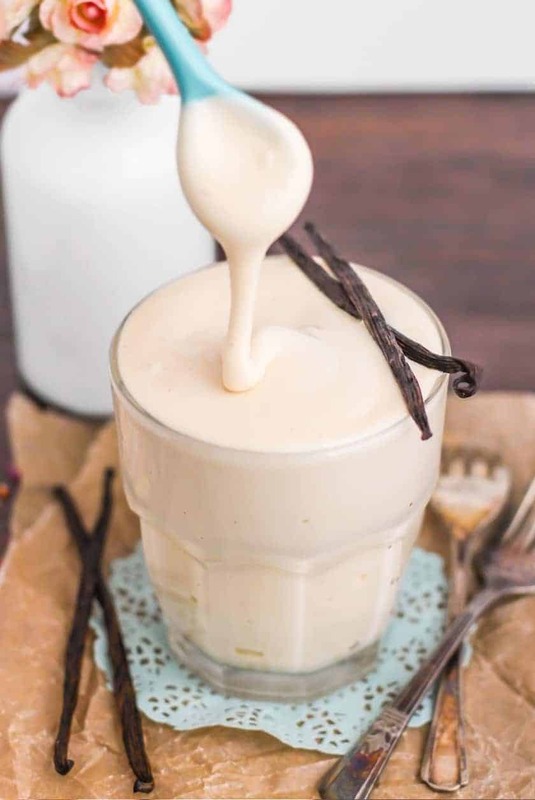 Its delicious vanilla bean flavor is versatile and pairs well with any kind of cake or cookie. Plus, it’s made from vanilla protein powder and greek yogurt, making it tasty AND nutritious. You may just want to eat it by the spoonful — thus stuff is seriously addicting! 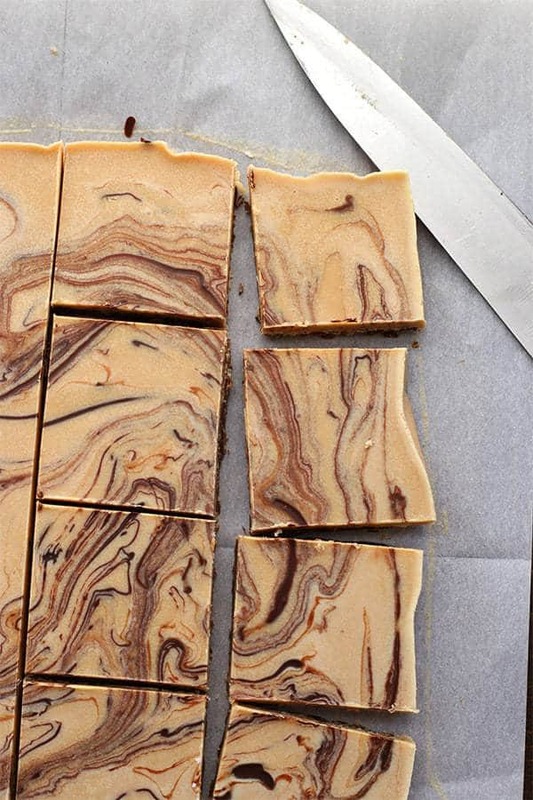 This layered chocolate and peanut butter fudge just doesn’t get any easier. 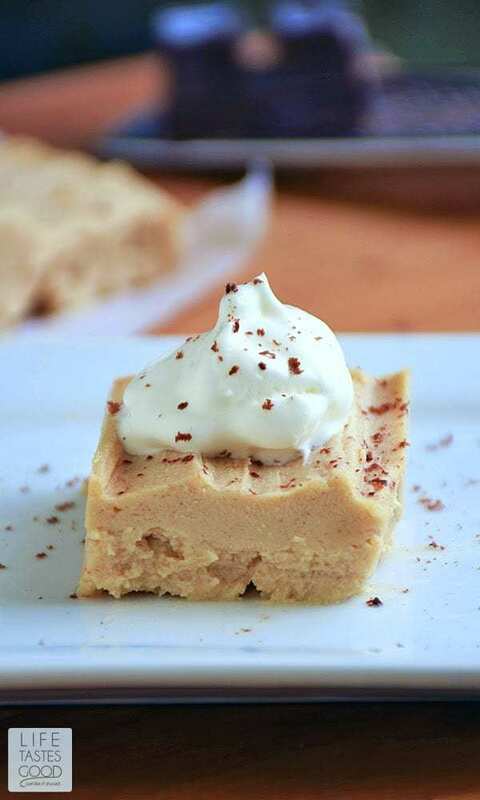 It’s super simple to whip up and it’s made from simple ingredients, so this low-carb fudge is sure to become a staple in your dessert routine. If you’re looking for a classic fudge recipe with a rich texture, delicious flavors, and straightforward ingredients, look no further. Make a big batch and safe some in your freezer for the next time you get into a fight with your hubby — these tasty squares will fix anything that ails you! Holy. Indulgence. Batman. 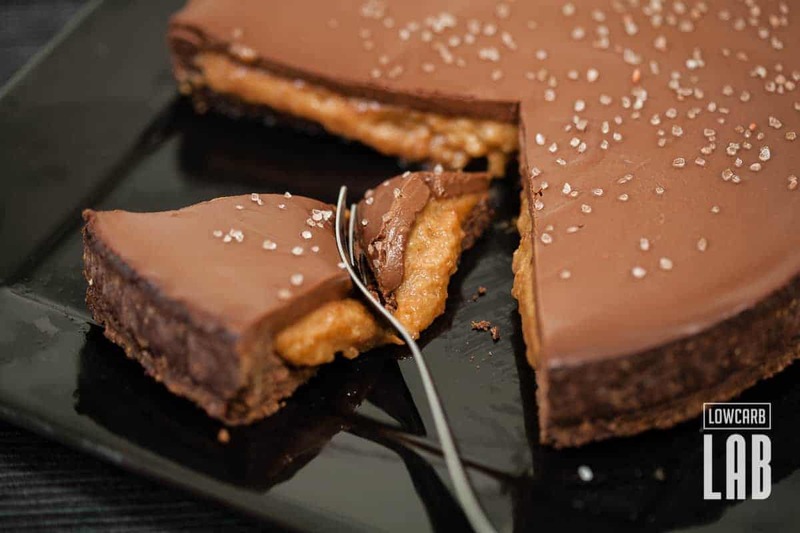 This incredibly decadent chocolate salted caramel tart is as rich and delectable as it gets, but the impossibly low sugar and calorie content makes this a diet-friendly miracle. Plus, this beautiful dessert looks super fancy, so you’ll impress all your guests at your next dinner part when you whip out this bad boy. A sprinkle of sea salt on top gives this gorgeous and healthy dessert a refined finish. Bon appetit! This is one low-carb dessert that looks just as elegant as it tastes. 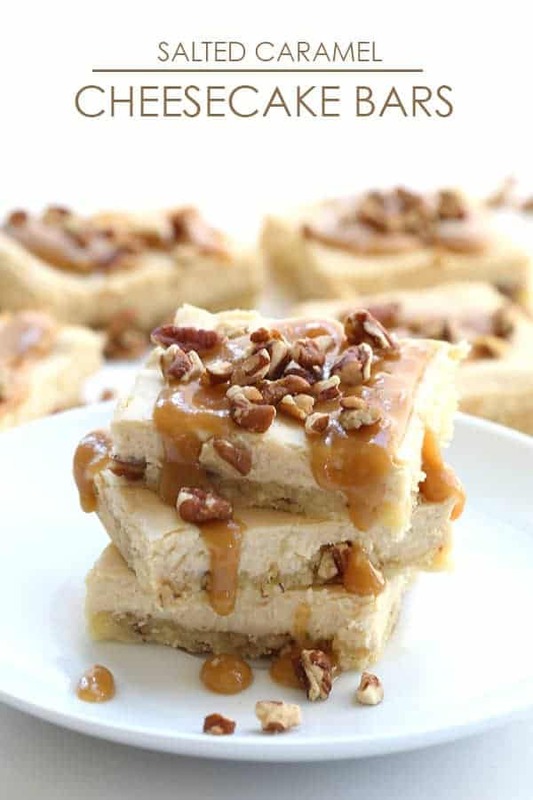 These salted caramel cheesecake bars strike the perfect balance between richness and lightness, with a satisfying crunch from the toasted pecans and a smooth, creamy finish from the low-carb caramel sauce. If you’re a caramel addict, these are sure to become your new favorite dessert of all time. Tuck in! 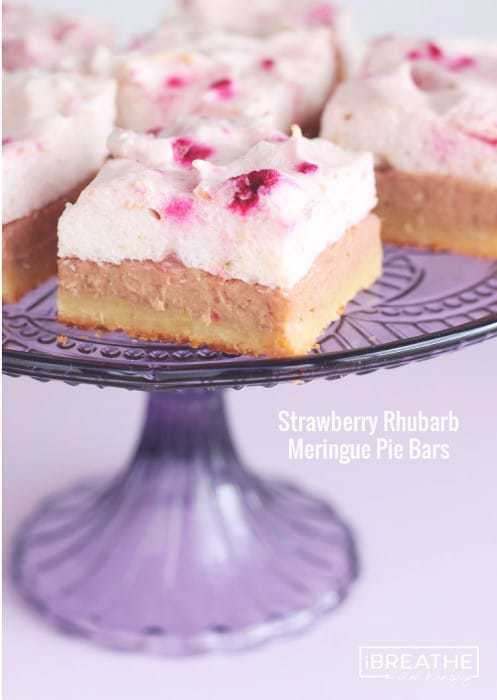 These light, fruity bars are topped with a heavenly meringue that’s sugar-free and whipped to perfection. The base of the bars are rich and buttery, complementing the lightness of the meringue topping to create a balanced and satisfying dessert. 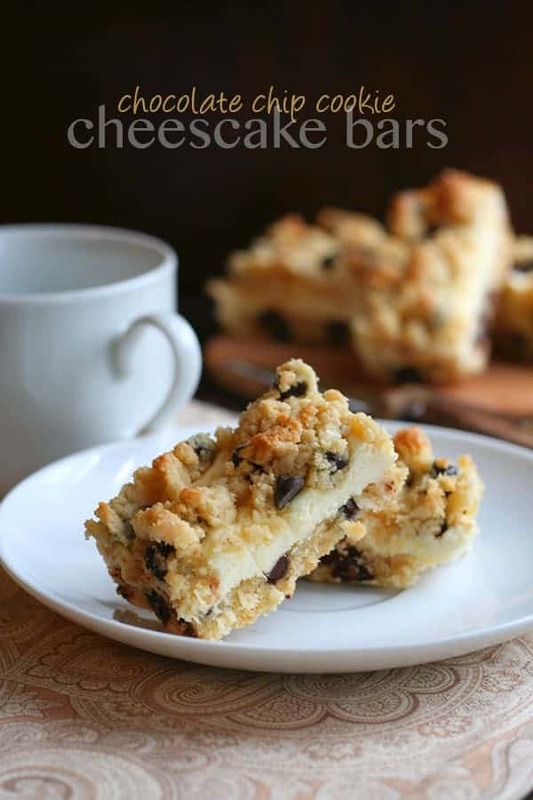 Don’t be intimidated by the triple-layer construction; these bars are super simple to whip up. But they’ll take even less time to devour! 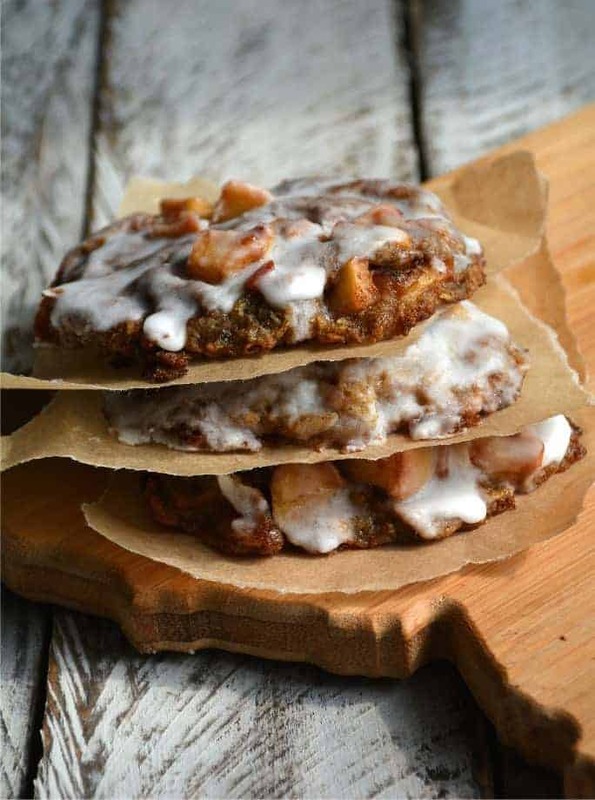 There’s not a single unhealthy ingredient in this delightful apple fritter recipe! The chia seeds give this recipe a bit of substance to keep you feeling full, and the fresh apples keep it feeling light and sweet. This recipe uses all natural sweeteners, with not a hint of refined sugar in sight. Plus, they’re delicious warmed up or cooled down! You’ll never go back to high-carb baked goods again. We’ve saved perhaps the most rich and luscious of all low-carb desserts for last. 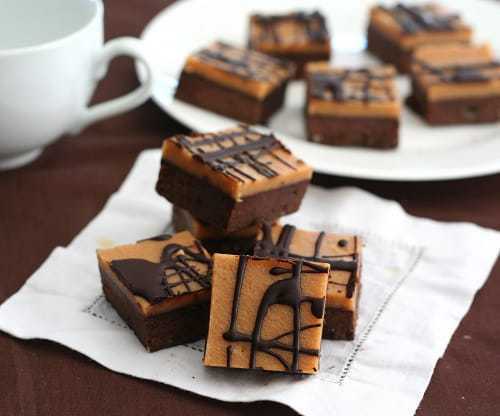 These peanut butter fudge brownies are flourless squares of sheer chocolate indulgence, with a rich, smooth, creamy peanut butter fudge that will put that Reeses cup to shame. How can something so luxurious be diet-friendly?! 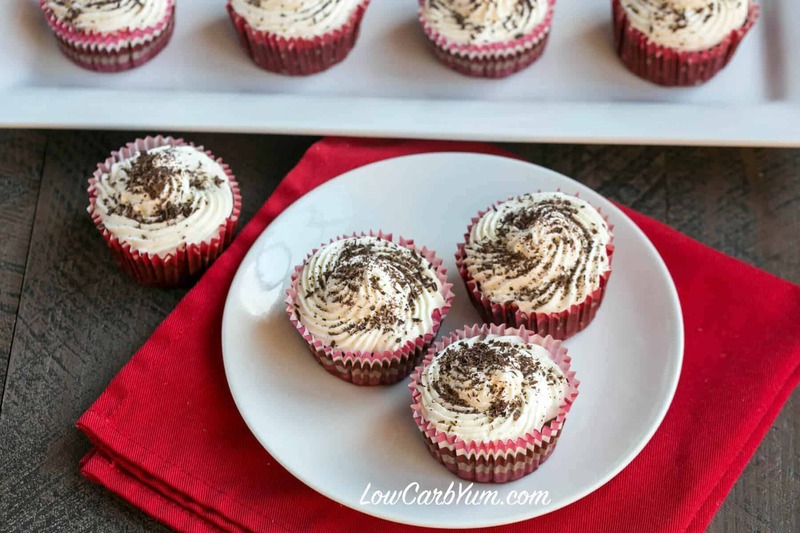 This gluten-free and low-carb treat is truly a delight. Happy snacking! These low-carb dessert recipes are a delicious way to keep you feeling satisfied even on a carb-restricted diet. By swapping out regular sugar for low-carb sweeteners and using alternatives to regular flour like coconut flour or almond flour, you can still enjoy all your favorite treats without worrying about high blood sugar, fat gain, or excessive carb intake. Plus, our comprehensive list of the 50 best low-carb sweet treats includes something for every dietary need, craving, and schedule. So carb-watchers, look no further! Who said a life of low-carb foods couldn’t be sweet?